Regiment/Catrawd: 15th Battalion, Cheshire Regiment. Medals Awarded / Medalau a ddyfarnwyd: British and Victory medals. Killed in action on 23rd April 1918, age 19. William was the second of four children, and was born to William Alfred Huson and Lucy (nee Butcher) in April 1899 in Wrexham. His mother Lucy Butcher was born in Bispham near Blackpool in 1868. Her father was a landowner in Bispham in 1871, and a farmer in Pensby (near Heswall) in 1881. 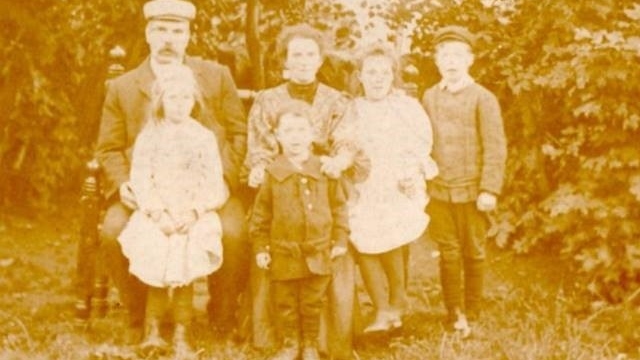 It was a large family – by 1911 when her parents had been married for 55 years five of their eight were still alive. In the 1891 census Lucy was 24 and living as a servant with the Thomas family at 15 King St Wrexham. William Thomas was a clothier, and Lucy Butcher was working as a drapers assistant. On the night of the 1891 census William senior was a sewing machine salesman living in the Temperance Hotel in the Meat Market at Bury St Edmonds. Lucy and William were married in New Brighton (Birkenhead), where Lucy was resident, on 24th June 1896. Address: 13 Virginia Road New Brighton. The Ancestry.co.uk marriage transcription gives this address as her place of birth but all other records state that she was born in Bispham. The groom’s place of birth is clearly wrong too. Frederick Walter, 1903 – 1972 (born in Caergwrle, Hope Parish). In the 1901 census William and Lucy lived at 2 Abbott Street where he was a draper shopkeeper, so it is likely that this is where at least some of the children were born. William senior died in January 1903. 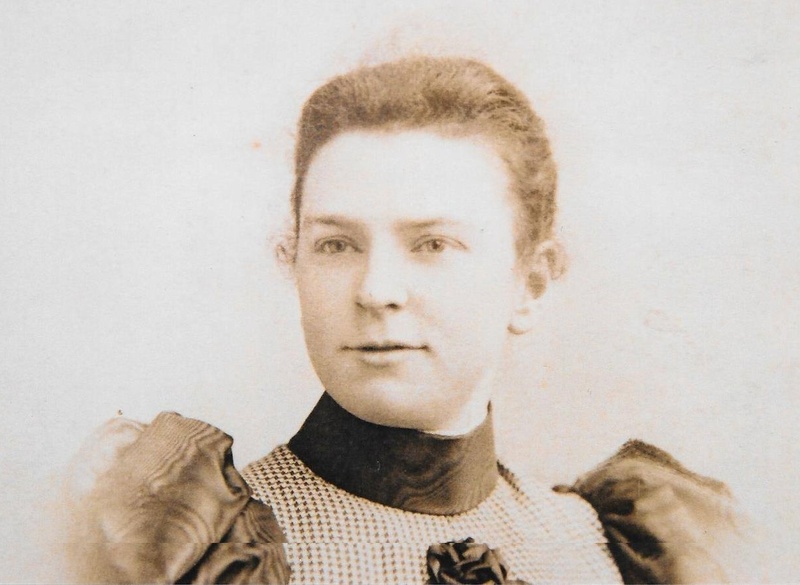 Lucy married John Griffiths, a mechanic (smith) in 1904. John came from a family of edge tool manufacturers (including his brother Philip Henry Griffiths and father Jonathon) who had a forge in Gwalia, Caergwrle. By 1898 Jonathon was recorded in a Trade Directory as being a Toolmaker and Storekeeper. 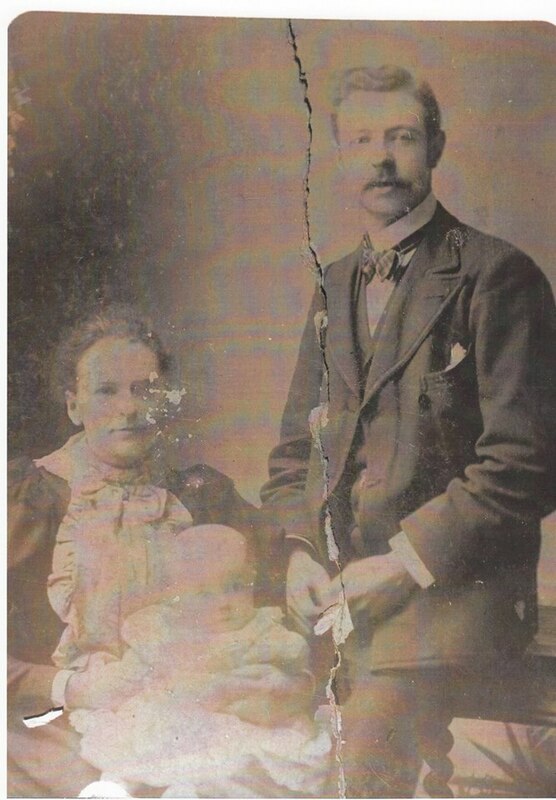 John had been married to Mary Edwards, born 1859 in Kelsoe, Durham. Records of their marriage have not been found, but in the 1881 they were with his parents who lived in Gwalia, Coedpoeth. In 1891 they were living in the Lodge at Bryntirion Hall. There appeared to be no children. Mary seems to have died at some point in the next decade as John Griffiths, described as a blacksmith aged 44 was living with his wife Ann in Toxteth Park, Liverpool. 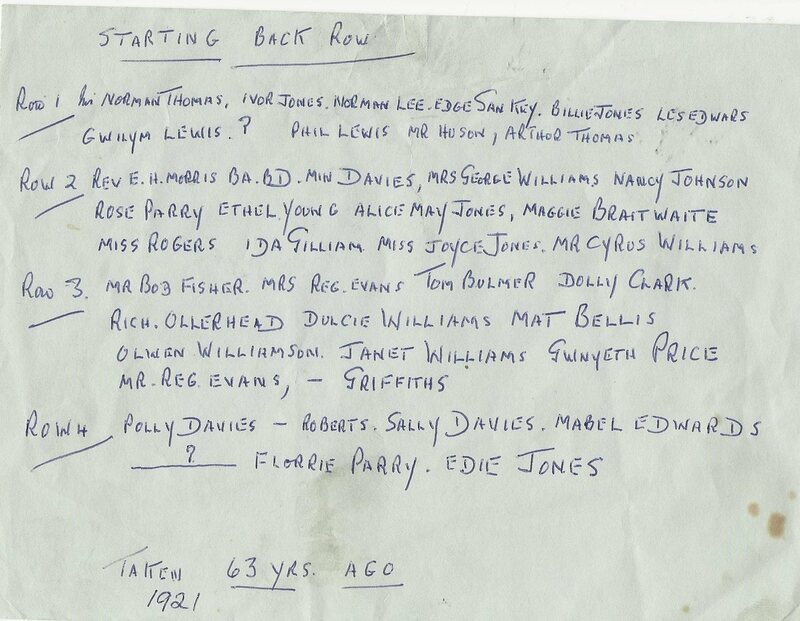 Confirmation that this is probably the correct John Griffiths come from the presence of the other occupant of the house Sarah J Jones, a cousin born in Hope, Flintshire. Records of Ann’s death have not been found but he married Lucy Huson in Chester on the spring of 1904. 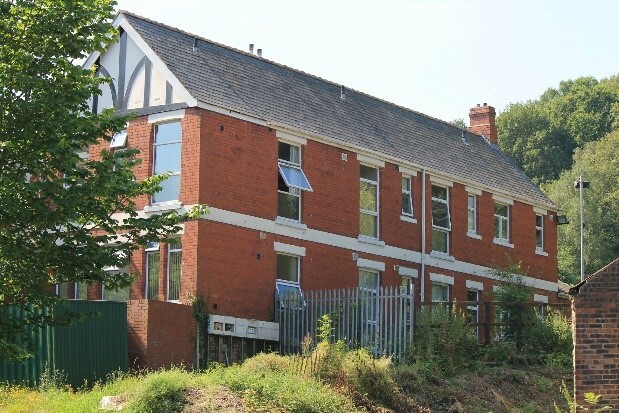 John and Lucy Griffiths were living in Trewynfa House in 1911 (now no 50 Derby Road, Caergwrle). It had 11 rooms so was a substantial dwelling. Lucy’s children (Martha Frances, William Arnold, Martha Ellen, and Frederick Walter) all lived there with Lucy and John. Pictured back row: John Griffiths, Lucy Griffiths (nee Huson), Dorothy Frances Huson, William Arnold Huson. Pictured front row: Pansy Huson, Frederick Walter Huson. Lucy Griffiths was listed in a trade directory for 1913 as a draper in Caergwrle, presumably continuing her first husband’s business. By 1917 when he joined the army William Arnold Huson’s address was Queens Café in Caergwrle, and his next of kin was his mother at the same address. The previous proprietors of the café had been the Ellames family, who were listed there in the 18911 census and the 1913 trade directory. William was conscripted on 6th April 1917, a month after his 18th birthday, in Wrexham. He was a comparatively tall (5 feet 9 ¾ inches) bricklayer’s labourer in a colliery. In May 1917 he was vaccinated against tetanus at Kinmel Park camp. In January 1918 he was examined and found to be dentally fit. His stated preference on joining was for the Royal Field Artillery, but he was appointed to the Training Reserve Battalion on 6th April 1917. On 1st September 1917 he was posted to the 213 Infantry Battalion. On 1st November 1917 he was found to be dirty on parade and was punished with 5 days confined to barracks. William Arnold Huson, dirty on parade! On 27th March 1918 the he was transferred to The 51st Battalion Cheshire Regiment British Expeditionary Force. On 31st March he left Southampton with the 1st Battalion Cheshire Regiment, disembarking at Rouen on 2nd April. He was posted to the 15th Battalion on 9th April, and joined the battalion in the field on 10th April. The memorial record card held in the Flintshire Record Office states that he was shot by a sniper, information probably provided by the family. William is commemorated on the Pozieres Memorial. The memorial commemorates 14,000 casualties if the United Kingdom and 300 of the South African Forces who have no known grave and who died on the Somme from 21 March to 7 August 1918. On 11th December 1920 his mother, Lucy Griffiths was sent notification that she would receive her son’s memorial plaque and scroll. She acknowledged in writing the receipt of his medals, British medal and Victory Medal, but the date is not clear. This was probably in 1922. 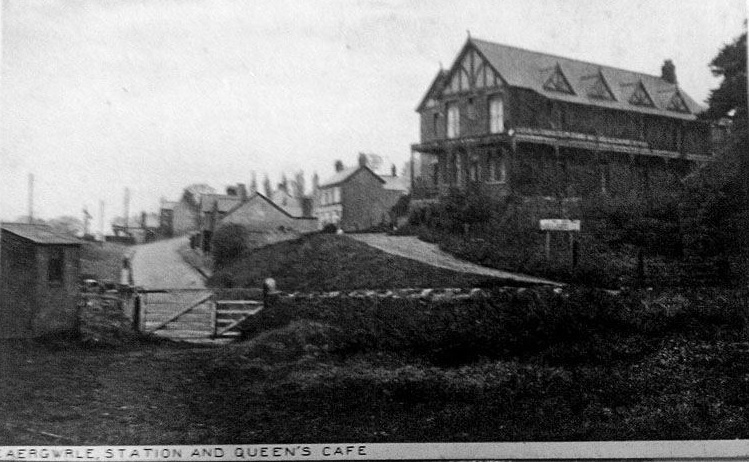 Lucy continued to live at the Queens Cafe (she was the proprietor of the café and apartments in 1936) until her death on 16th October 1946 in the War Memorial Hospital in Wrexham. 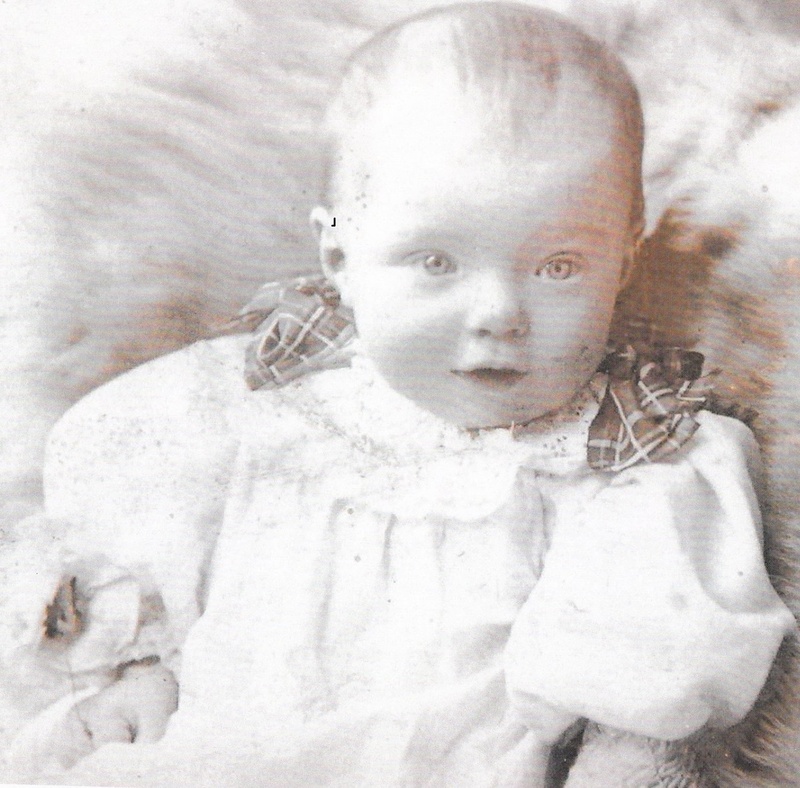 Frances Dorothy – born 1897 Married Thomas Simons in the autumn of 1919, had three children – Henry, Sylvia and Frederick Wilton. Died in Wrexham 1981. Martha Ellen (Pansy) – married Alonzo Rowlands 12th February 1927 in Hawarden. He was Caergwrle’s kilted American soldier. Alonzo was born in America but returned to Caergwrle, the home of his father, and served in the War. 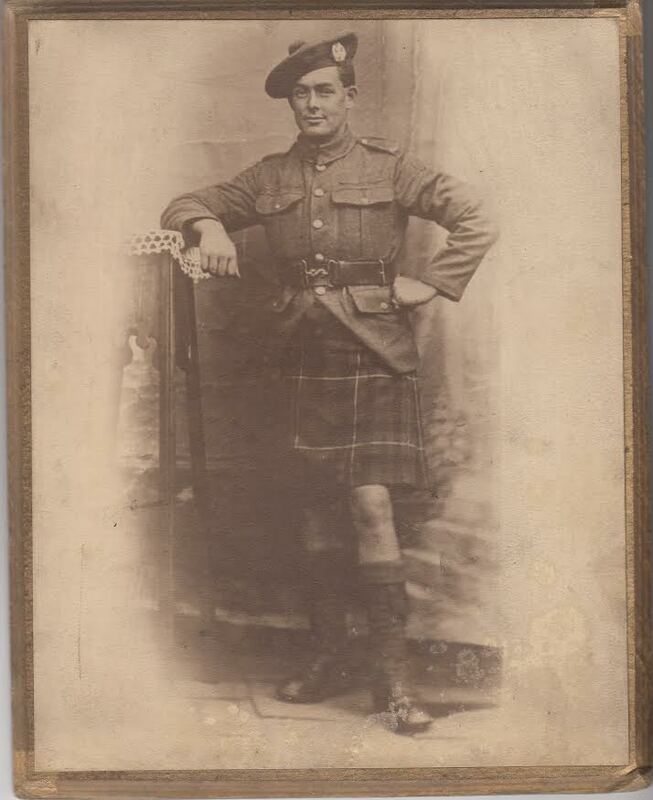 He enlisted in the Liverpool Royal Scots regiment on 7th November 1916 before America itself joined the War on 6th April 1917. Alonzo survived the War and was a colourful character in the local community (a farmer in Gwalia) before he died in 1972, aged 75. Martha died 2nd November 1963, and is buried in Hope Cemetery with Alonzo and daughter Betty who died in infancy. Three other children: John, Mary and Charles. Frederick Walter – born 13th August 1903 in Caergwrle. 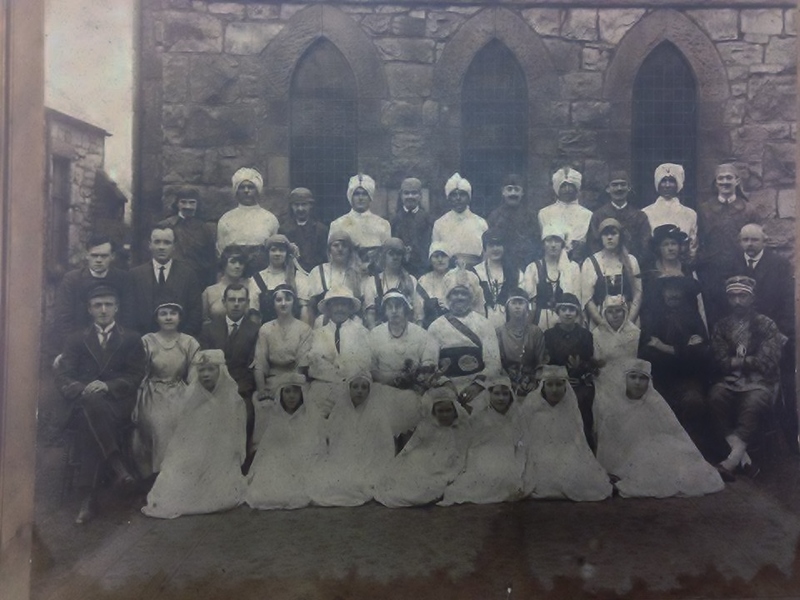 Frederick was pictured (second from the right in the back row) with the Caergwrle Presbyterian Chapel Peace Queen in 1921. In 1933 aged 29, describing his occupation as ‘police’, he travelled to Southern Rhodesia to live. 1934 he arrived back in Southampton via Rio de Janeiro, Brazil. His occupation now was ‘Bricklayer’, previously living in Southern Rhodesia, returning to Queens Cafe, Caergwrle. In 1939 he married Doris Mary E Lloyd in Chester, and he died in Hawarden in 1972.